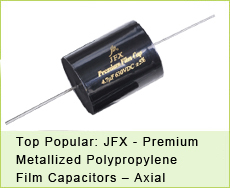 We have a series JFZA X2 for power meter / energy meter application! After many years of experience in the meter, it proves that our JFZA series is a very good, very safe choice! JFZA X2, 310VAC, 2,200pF~2.2uF, used in series connection. 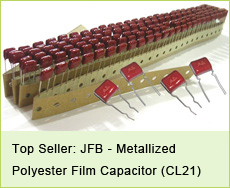 The most popular values we sell are 0.1UF / 0.22UF / 0.47UF and 1UF. What about you? what values do you need in your production? Welcome send to me your RFQ, let me quote and prepare samples for you to approve. Below is our recommended circuit diagram, for your reference only.